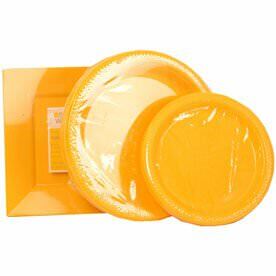 Your table will be walking on sunshine with our bright Yellow Disposable Tableware! Whether you need a pick me up kind of party or want to make your party even more cheerful, yellow is certainly the choice for you. 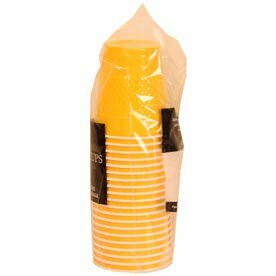 You'll need to smile upon seeing this yellow, and once you realize the cleanup is as easy as throwing everything away, that smile will stay on your face long after the party is done. 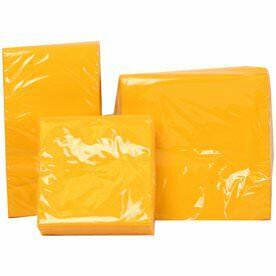 Our Yellow Plastic Plates, available in three different sizes, will certainly keep all of your happy meals in place and our Yellow Plastic Cups will combine the brightest color we have with the durable plastic it's made of. When you want your Paper Napkins to scream a happy sun shining day, our Yellow Paper Napkins will not only brighten up your table but keep you extra clean as well. 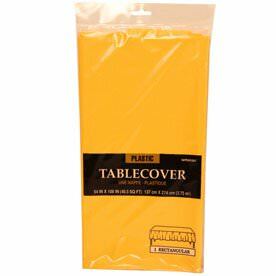 And when you want to compliment your happy personality the most, cover your table with our Yellow Tablecovers. You are surely going to bring happiness and a bright attitude to every party this Tableware touches.